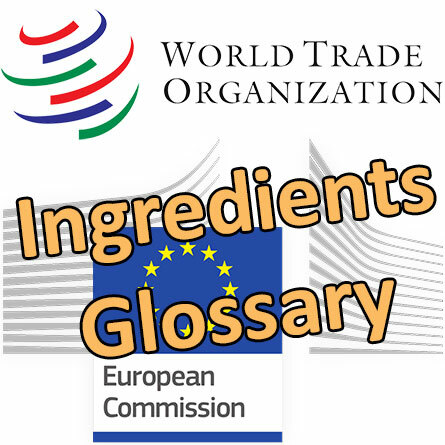 On 20 December 2018, the European Union transmitted to the WTO a draft Decision to establish a glossary of common ingredient names for use in the labelling of cosmetic products, with 26491 entries. This Decision should be adopted by the end of the first quarter of 2019. This draft Commission Decision aims at establishing a glossary of common ingredient names for use in cosmetic products, to ensure uniform labelling and facilitate identification of cosmetic ingredients. 1. Article 19(1)(g) of Regulation (EC) No.1223/2009 requires the labelling information on cosmetic products to include a list of ingredients. The ingredients are to be expressed using the common ingredient name set out in a glossary to be compiled and updated by the Commission pursuant to Article 33 of that Regulation. The glossary is required to take account of internationally recognised nomenclatures including the International Nomenclature of Cosmetic Ingredients (INCI).